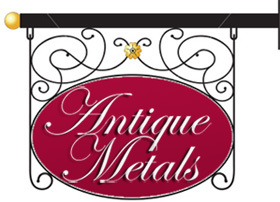 Antique Metals - Brass Restoration and Repair Samples. 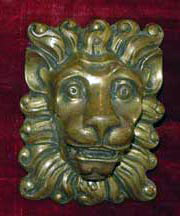 Brass Restoration and Repair Samples. 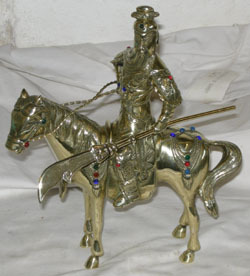 Below you will find an array of different examples of Brass objects that have been repaired and restored. 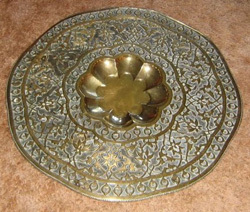 In the polishing section you will find some more examples of polished brass items. 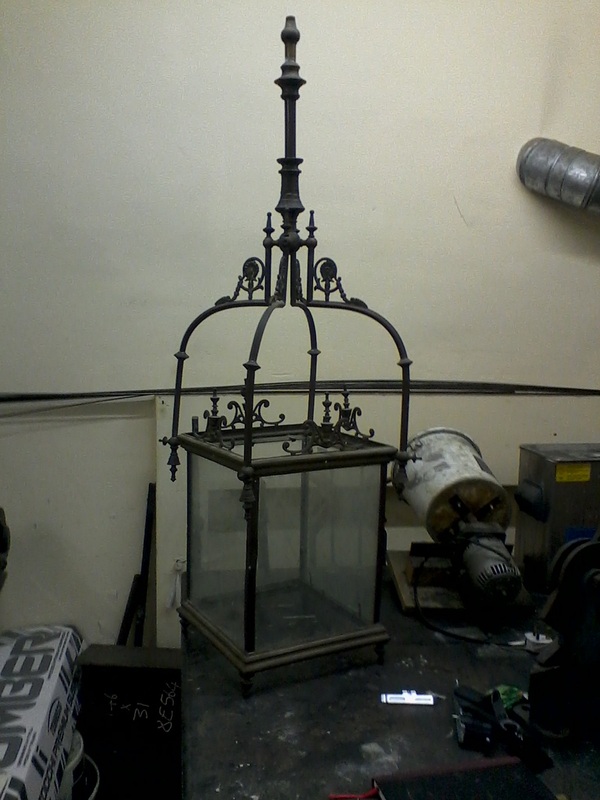 Below is a brass lantern which needed a new lease of life. 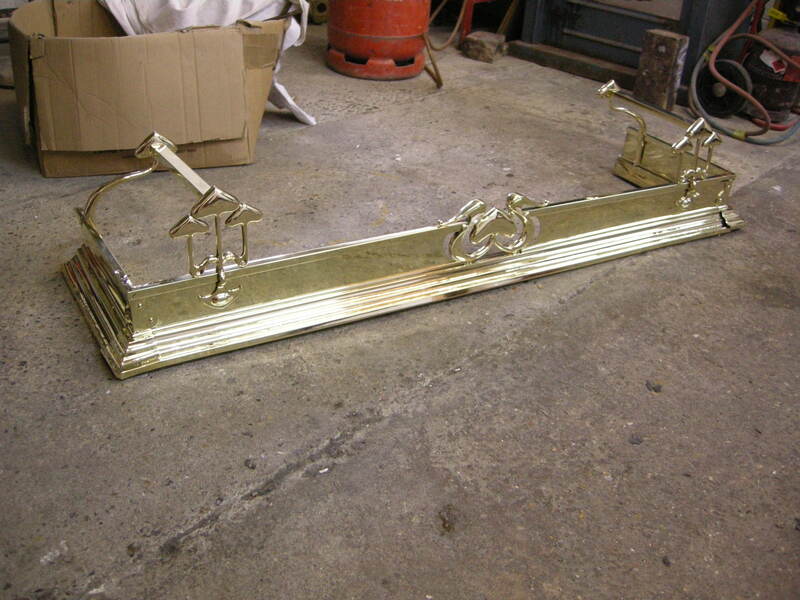 Some finials needed to be cast as they were missing. A hanging 3 branch lighting interior was made. 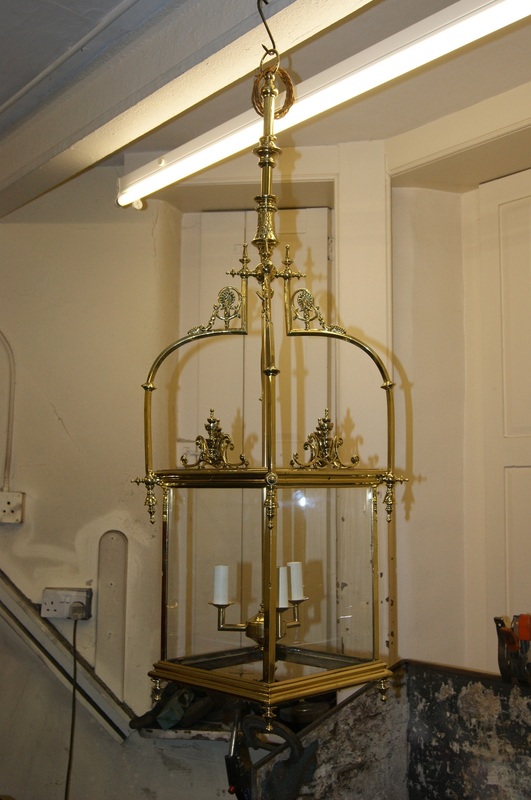 It was all polished and lacquer with 2 panes of glass replaced. 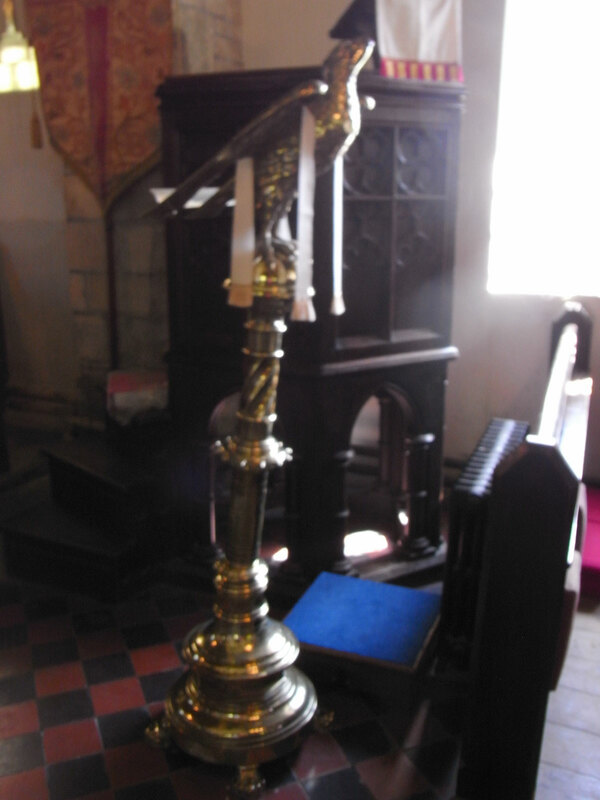 This Church lecturn had started to lean, one of the column castings had broken. 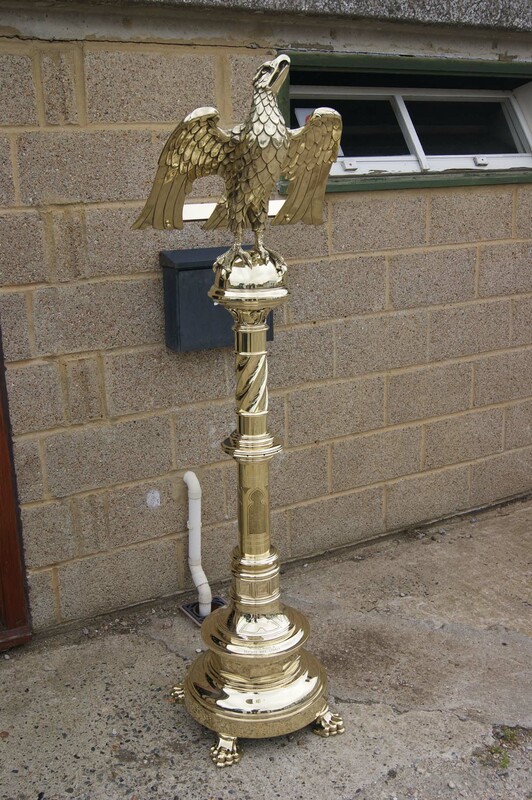 It was taken apart and repaired, the whole lecturn was then polished. 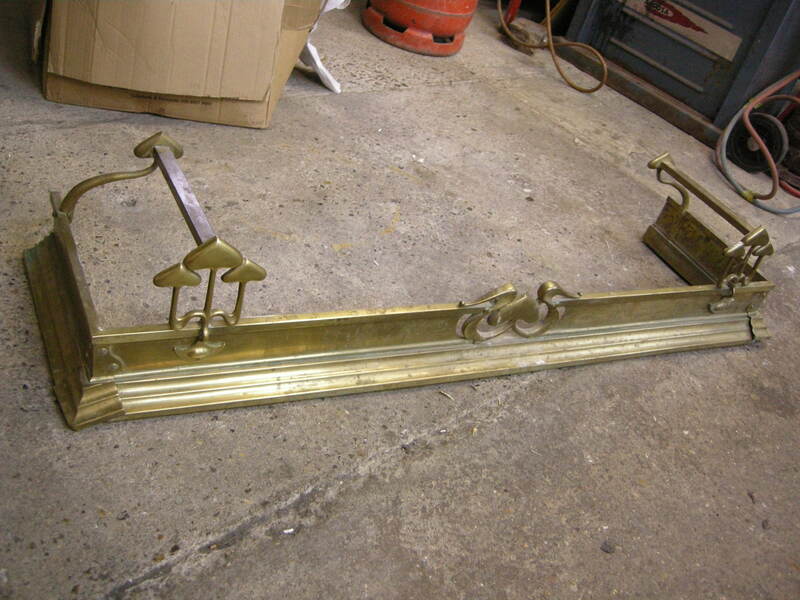 This arts and crafts style fire fender needed polishing and a few repairs. 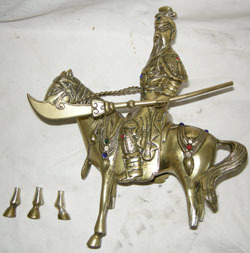 The horse of this Chinese brass statue had 3 of its feet broken and some of the decorative stones missing. We silver soldered the feet back on, fitted new stones and polished. 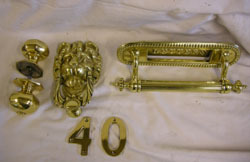 Below are items from a front door which we cleaned, polished and lacquered. Why buy new when the old ones can be recycled and cleaned up has new. 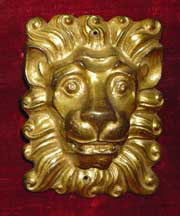 This is one of a number of mounts from a bookcase which required the ormolu cleaning and the gilding re-applied to damaged areas. 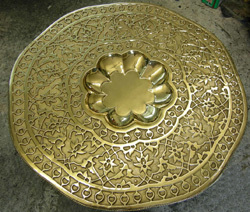 This is a brass table top which needed polishing and lacquering.